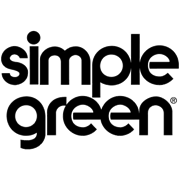 Simple Green All Purpose is a water based heavy duty industrial and commercial cleaner, degreaser and deodoriser that will clean most washable surfaces. 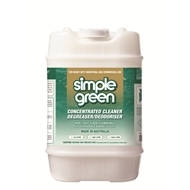 Its concentrated, non-hazardous formula allows you to custom dilute to clean dirt and grime. 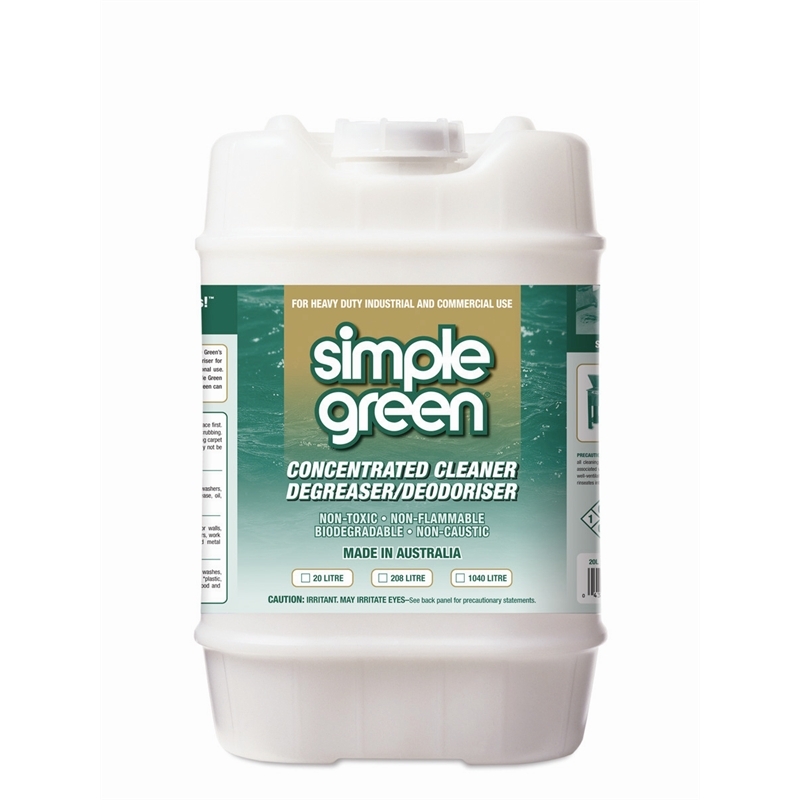 Simple Green All Purpose Cleaner is non-toxic, and does not contain any harmful chemicals such as bleach, ammonia and phosphates. It rinses residue-free making it safe to use around people, pets and plants. With a mild pH level and a non-abrasive, non-corrosive, non-ionic formula, it is gentle on skin and hands.